You'll be the only guests at this unique Top End getaway in Darwin rural. That's right no other guests * no neighbours * just the resident buffaloes, wallabies and birdlife. Choose to experience the real Territory life in your own bushland the way you want to. 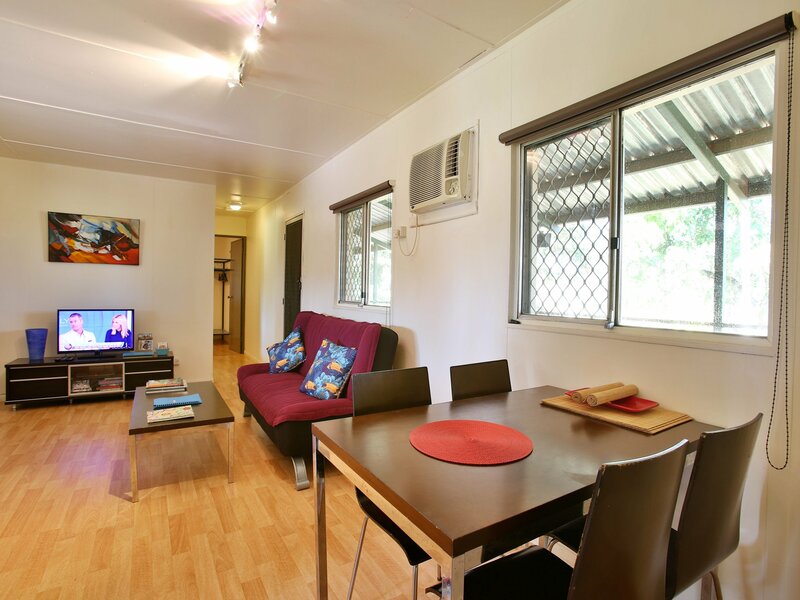 Perfect location - 55km from Darwin CBD - 15km to Berry Springs and NT Wildlife Park. - 65km Litchfield - 240km Kakadu. Our fully self-contained, rustic home with wide wraparound verandas, tropical gardens, quirky antiques and sculptures, is simple, compact, well equipped and fully air-conditioned. The back verandah with expansive tree-line views suits alfresco dining with a 4 person spa, barbeque, bar fridge and outdoor setting. House sleeps 6 (3 bedrooms 3 x comfortable double beds). Fresh home laundered linen and bath towels are provided. Relax explore enjoy! Amazing for Couples - Great for kids (supervised) - Good for Pets (fenced house yard with dog runs). More than 6 guests We have an extra, self-contained, air-conditioned, queen bed cabin to accommodate 2 more. Please contact us for cabin price. We don't offer a venue for conferences or events without personal consultation. BUT we have had stay - and do encourage various contractors - for example N.B.N. roll-out staff on short term projects especially in the wet season. We have ample room for plant & equipment and can make available a separate self contained cabin if required. Serviced laundry and cleaning may also be arranged. 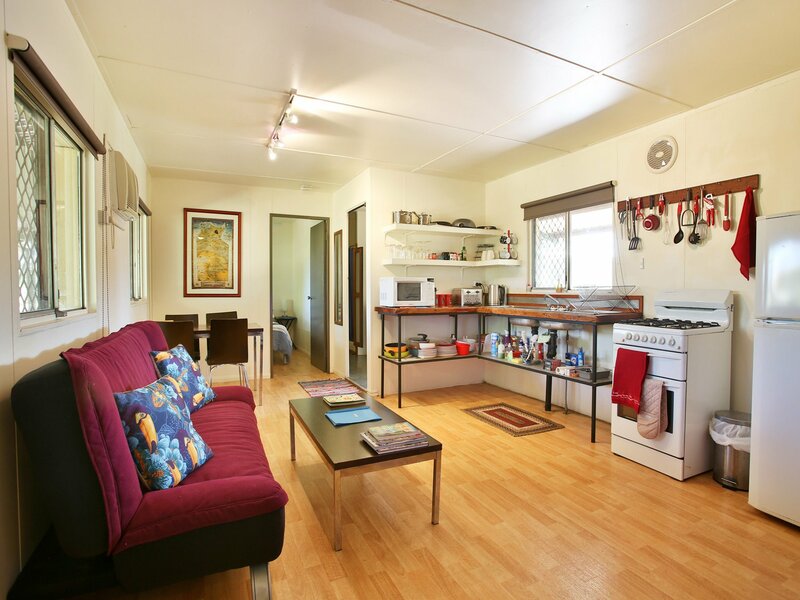 This property operates on a self check-in basis by entering a pin-code at the gate. Details on how to access the property will be emailed on receipt of full payment. Children are welcome under parental guidance. This is a rural property with a dam, wild buffalo and other livestock on 22 acres. You are welcome to roam the property bearing in mind that gates need to remain closed at all times. Your care and adequate supervision of children is essential. We have space for 2 vehicles under cover. We also have ample space for more vehicles. This property operates on a self check-in basis. Details on how to access the property will be emailed on receipt of full payment. 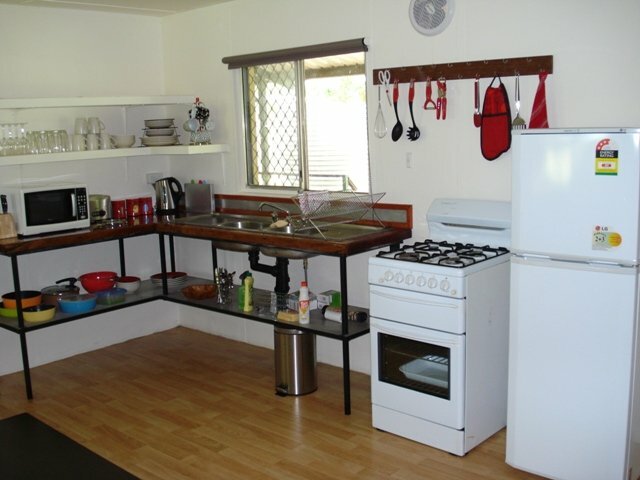 Private 22 acre bush retreat all to yourself with marked walking trail.